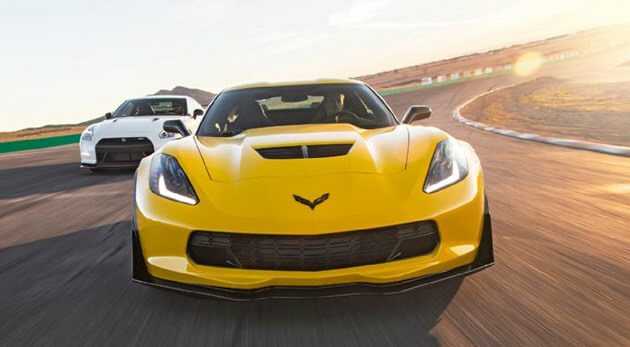 In the April 2015 issue of Motor Trend magazine, a 2015 Corvette Z06 was pitted against the Nissan GTR Nismo. While the Z06 faired well, the outdated, bloated GTR surprisingly won some performance categories over the Z06. Race car driver, Randy Pobst, was a little frightened trying to pilot the Z06 around Willow Springs. Motor Trend was surprised by the results as compared to the GTR. It turns out, the Z06 that Chevrolet gave Motor Trend had an improperly aligned rear-end. For more details, check out Motor Trends latest article showing how a properly aligned Z06 with a couple ride suspension software tweaks performs!